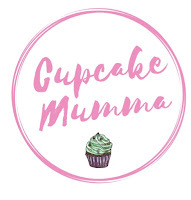 Cupcake Mumma: A Lovely New Mug! Recently I took part in a rather unique swap thanks to MeHeandThem. As Natalie is from overseas she allowed me to find a swap partner. It didn't take me too long, I hopped onto Twitter and found the lovely Kat from KatSighs who was just as keen as me to swap a mug! 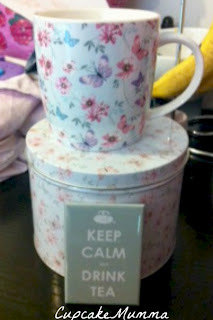 We both sent our mugs on the same day (complete with 2 postcards for Postcrossing which Kat also does- spooky!) so all that was left to do was wait for our packages. 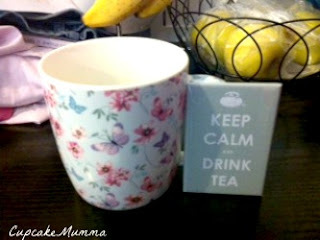 I really love my mug it brightened up my day! I love the colours, I love the butterflies and I collect tins so I'm really pleased! Kat put me to shame a bit because she added some extras! I got this lovely magnet and also a really pretty bookmark shaped as heart with Angel written on it. I'll be hosting my own UK Mug Swap in October so please look out for that! For now, Kat is hosting a Summer Sun Swap over on her blog for August so please go and have a look and see if you fancy sending and receiving a homemade, sunny item.